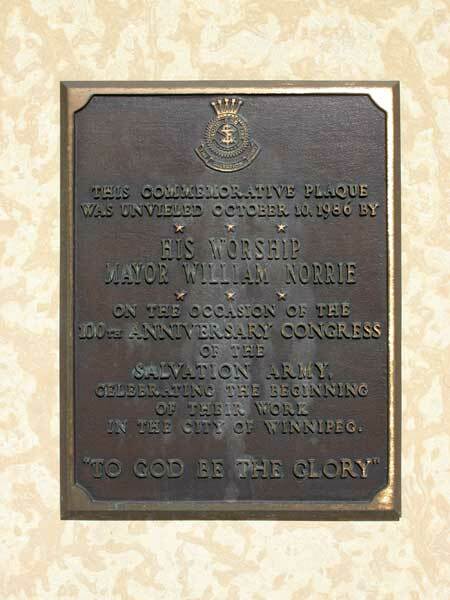 The following plaques are displayed in and around the Winnipeg City Hall buildings. 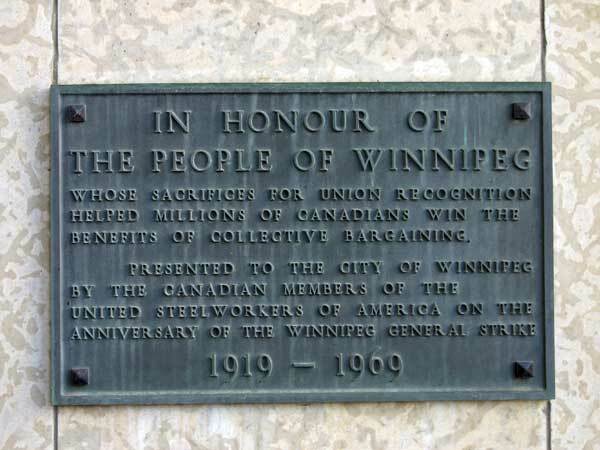 United Steelworkers of America plaque mounted near the north entrance of the Council Building in 1969. 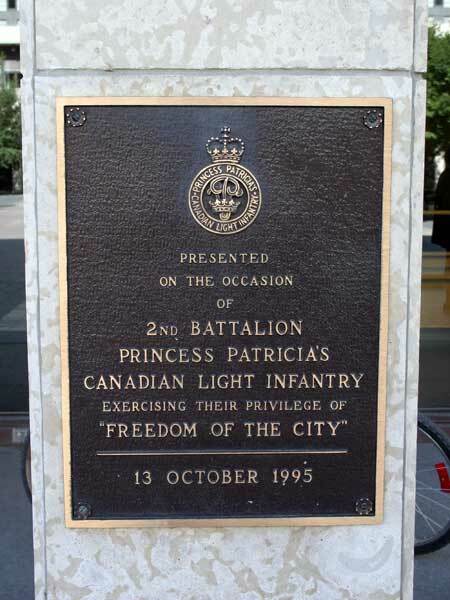 Mounted near the north entrance of the Council Building in 1989. 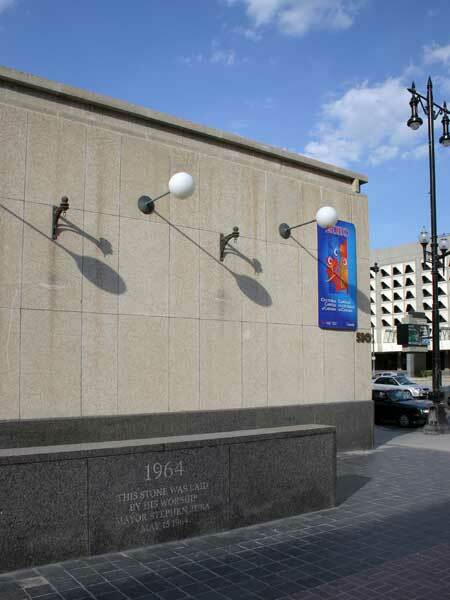 Mounted near the north entrance of the Council Building in 1995. 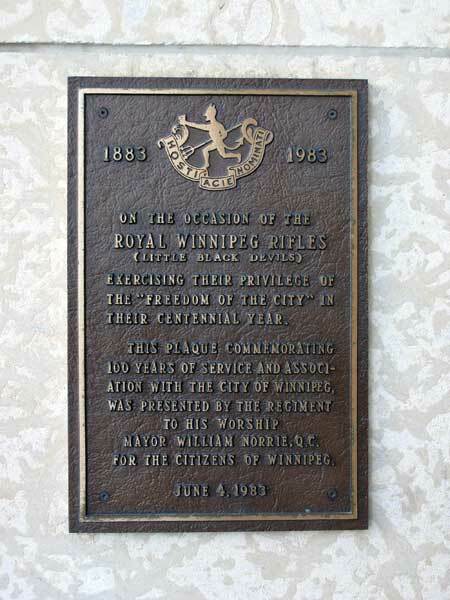 Mounted near the north entrance of the Council Building in 1985. 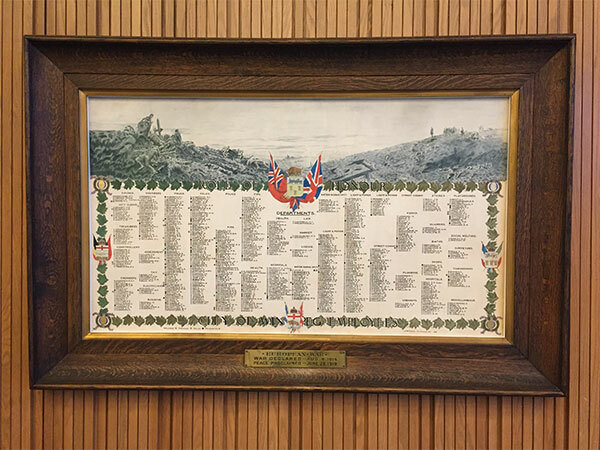 Mounted near the north entrance of the Council Building in 1983. 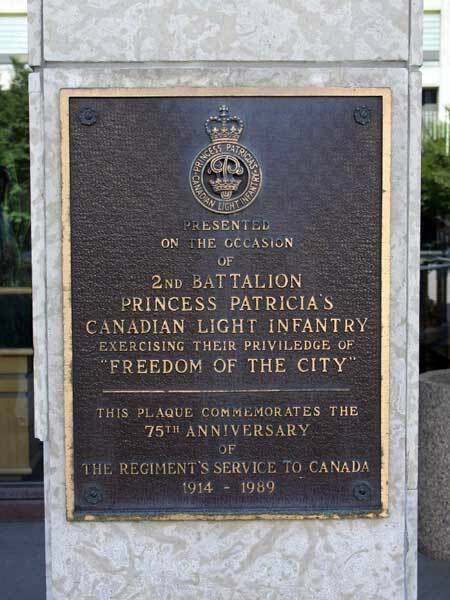 Mounted near the north entrance of the Council Building in 1974. 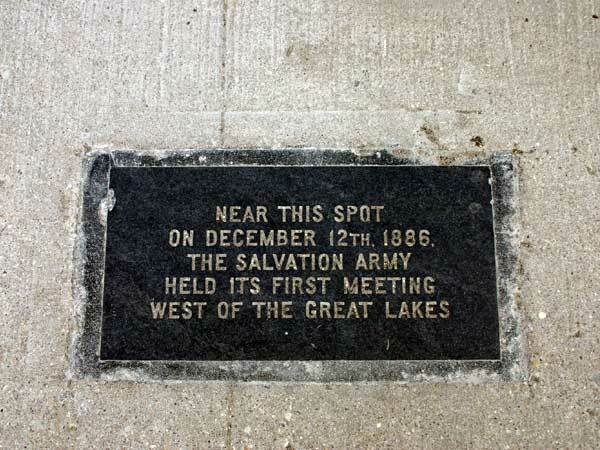 Mounted in the sidewalk, in 1986. 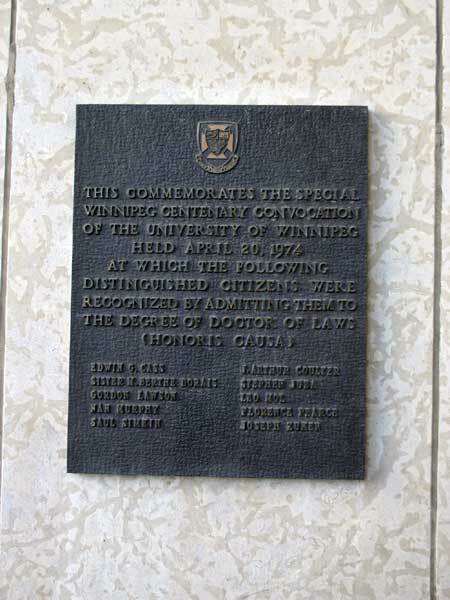 Mounted near the southwest corner of the Administration Building in 1986.
laid by Mayor Stephen Juba on 15 May 1964. 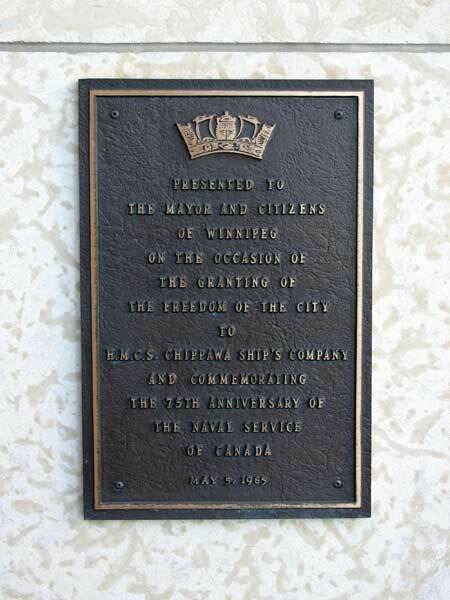 This plaque, unveiled on 15 May 2014 by Mayor Sam Katz, is located at the southeastern approach to the central courtyard at Winnipeg’s City Hall, formally known as the Winnipeg Civic Centre (WCC). 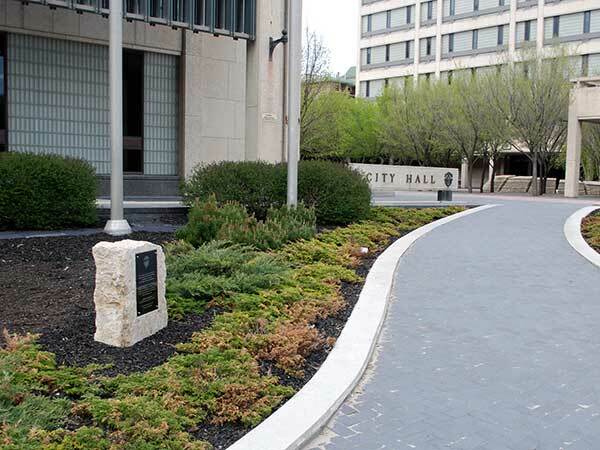 It commemorates the WCC’s 50th Anniversary, comprised of the both the Council Building and Administration Building. Both structures were officially opened in 1964 and based on designs of the local architectural firm of Green Blankstein Russell Associates.